– You start with 8 energy every game. – The first 2 minutes of each game the energy is generated slowly. – After the first two minutes you get into a energy boosting phase. This is marked in every game by a popup text that says “Energy boost”. – In overtime you will continue to have the “Energy boost”. – Before the energy boost starts It takes approximately 3.5 seconds to recover one bar of energy. – It takes approximately 2.4 seconds to recover one bar when you have the energy boost. – There are ways you can boost your energy generation. The tools will be listed below. 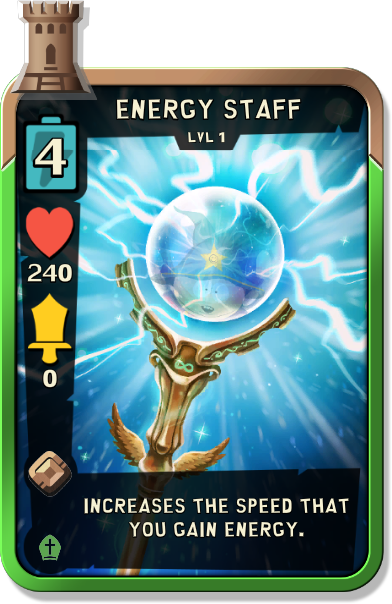 By using energy staff you gain 45 % more energy than without staff. It depends on your tactic, deck and if there is energy boost. If you use staff just purely for the energy generation, then you’ll lose 0.43 bars if used before energy boost. This can be a smart trick because, with energy staff you can “save” your energy for some seconds by placing the energy staff when you hit 9.5 bars. That way you force the fight to your side of the map which is preferable when playing mystical. Let the zap damage do its job. You can now push the enemy harder as your units will be more clumbed up. If you use staff once you get energy boost you’ll gain a surplus of 1.25. If you use energy staff before energy boost you’ll lose 0.43 bars. If you use energy staff after energy boost you’ll gain 1.25 extra bars. Hermes kenny grants you double energy generation for 4 seconds when he dies. If you use Hermes Kenny before energy boost you’ll gain 1.13 extra bars. If you use Hermes Kenny after energy boost you’ll gain 1.67 extra bars. 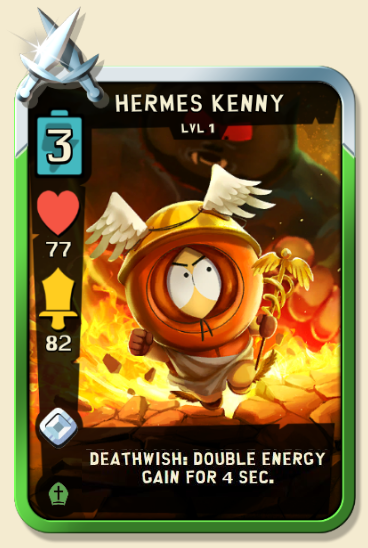 You can combine energy staff and Hermes Kenny to gain a burst of energy. If you use energy staff and Hermes Kenny together before energy boost you’ll gain 1.64 extra bars. If you use energy staff and Hermes Kenny together after energy boost you’ll gain 2.42 extra bars. If you use this combo you’ll have approximately 3.5 bars available in less than 4 seconds. This is extremely fast! Normally it takes just about 4 seconds to gain just 1 bar. Keep in mind, this combo is best used when you have the energy boost (after 2 minutes of play). The ATTACK and HP stats of the Energy staff and Hermes Kenny are outdated but the energy recovery is still applying. Choirboy butters gives back about 0.2 bars. I am not aware of the exact amount. 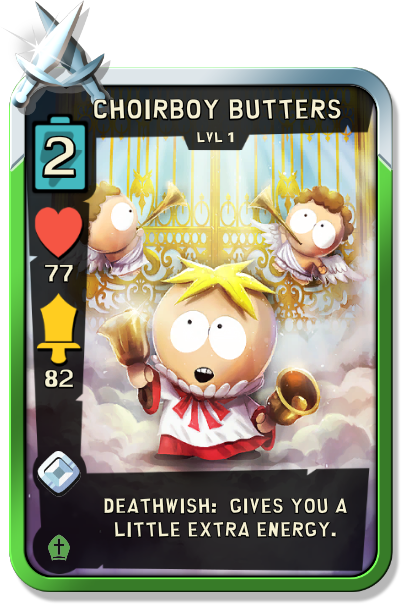 If you run mystical then having Choirboy butters, Hermes Kenny and energy Staff in your deck is pretty good! 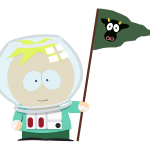 Keep in mind that choirboy butters and energy staff doesn’t affect each other.